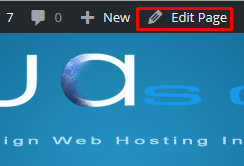 As soon as you have logged in to WordPress the easiest way to edit your page is to click visit site which is located in the top left-hand side of the admin bar. 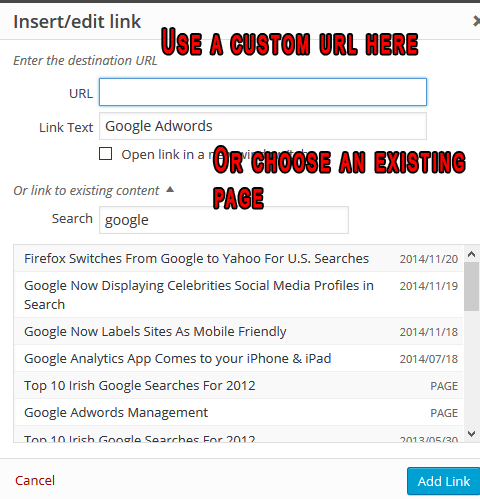 Just hover your mouse over it your site name and the link will appear, you can also click on your site name. When you are back on your site you will notice a black bar going across the top of the screen. Navigate to the page you want to edit then click edit page. You can then edit the page as easily as you would edit a word document. The following image shows you how your post or page will be laid out. 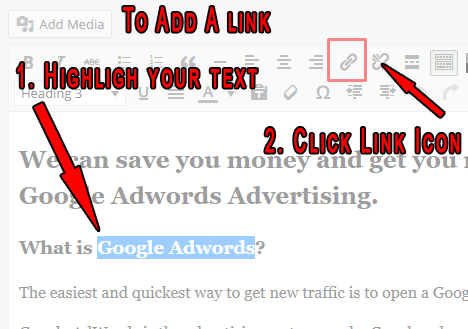 To add links simply select the text that you want to link to and click the link icon. A pop-up window will open. You can then link to any page in your site or add a link to outside website. You also have the option of making the links open in a new window. To find the relevant page or post if you have a lot of content just type a keyword into the search box. In this case we used Google as the keyword to bring up all pages or posts we have created about Google. Add Photos to your WordPress website. 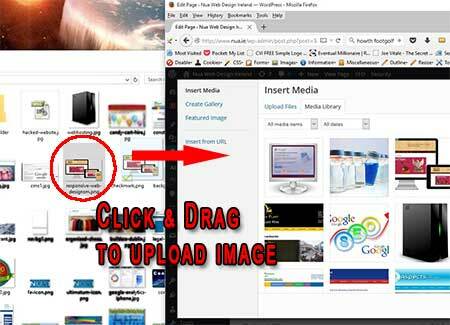 To add a new photograph or any image to your web page click on the add media button and a window will open allowing you to choose from any item in the media library. Using Windows Explorer or whatever program you use to manage files on your computer, navigate to the folder on your local PC where you keep your images then simply drag and drop into your web browser. For the best user experience, If you are placing an image to the right of your text, I find that as a rule of thumb try to keep your images to around 450 pixels wide with a resolution of 72 Dpi. Make sure that you optimise your images for the web before uploading them, while WordPress does try to optimise images for you, you will be able to do a much better job yourself using your favourite imaging program such as Photoshop. 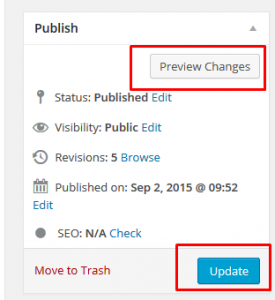 Finally, when you are ready to update your website all you need to do is click the update or publish button if it is a new page. If you want to view your changes before the public deal just click the preview changes button instead. I hope you found this information useful, if you did please share it and if you have any questions just place them in the comments section below.